This is a 16 inch American Eagle with bone handle. American eagle is one of the bestselling Khukuris of FGKH. 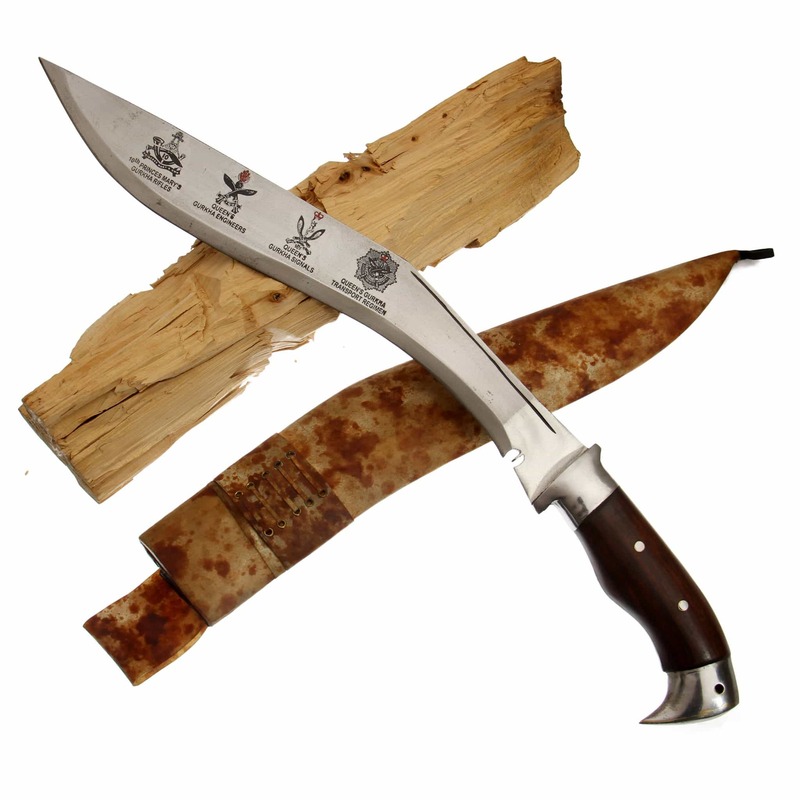 This Khukuri has a unpolished handmade 16 inch blade made up of Highly graded Carbon. It is a fixed Blade Khukuri. The handle is 6” and made up of rosewood which is glued together by traditional Nepali glue called Laha, and the base of the handle has a beautiful Art work which is unique customization of our shop. It is also secured with 3 rivets. The sheath or scabbard is made up of water buffalo leather. 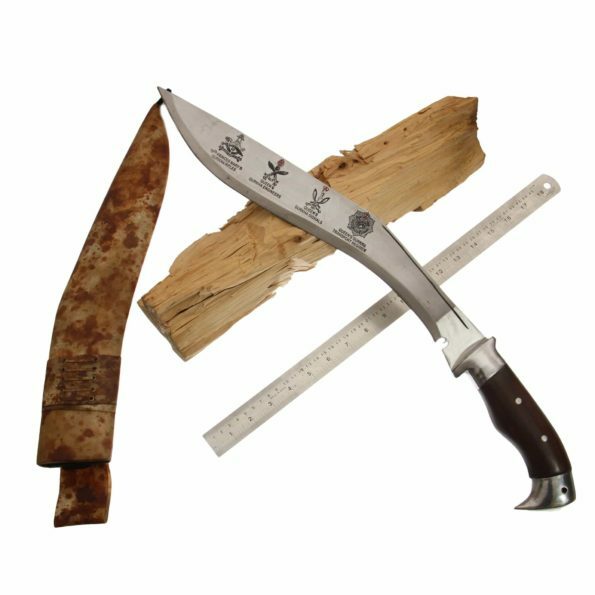 The Khukuri comes with two small accessory blades called Karda and Chakmak. The overall length of the blade is 22 inch and weighs about 1400 gms. 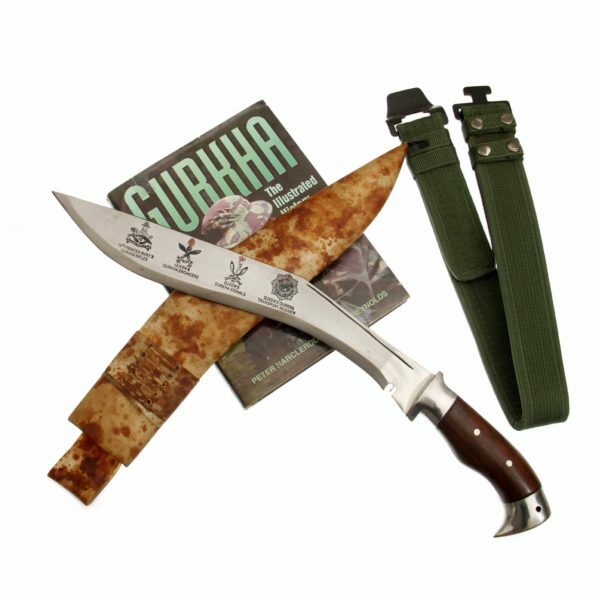 This Khukuri can be kept as a souvenir or used for chopping trees and cutting meat. Blade Size and Type:16 inch(40cm) and Unpolised blade. Handle Size:7 inch (17.5cm) and Full Tank blade handle. Hardness of Steel: spine=22-25 RC,belly=45-46 RC,edge=54-55 RC. Weight: 1400 (56 Oz. Approx).